A couple of weeks ago I posted Nick and Patty’s amazing Love story. Nick and Patty were introduced by Patty’s cousin, Stacey. Even though Nick and Patty never met, Stacey knew that they would be a perfect couple, and as Nick says, she wasn’t wrong. When Nick and Patty came to our place to talk about their wedding we were hooked. I think is the only couple I’ve met that never, but never stop laughing. We, honestly, were blessed to be part of their wedding. 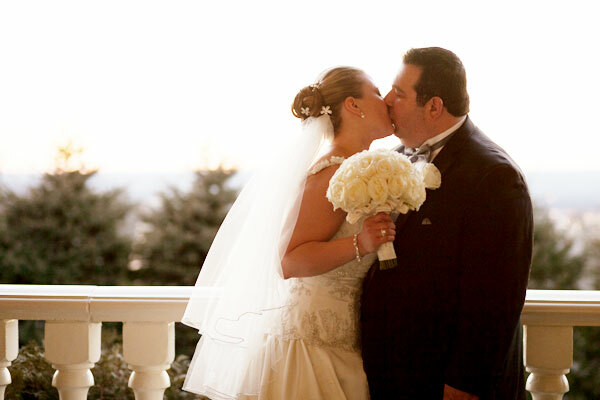 Their wedding ceremony was held at St. Andrews Greek Orthodox Church in Randolph, NJ and the wedding reception at The Westmount Country Club in New Jersey. Lot’s of good American and Greek music. Nick and Patty hired a great Greek band and a very famous Greek windpipe player. Once again, I want to say that we were very honored to be part of their wedding. New Jersey Wedding Videographer. Voted Best of the Knot Weddings 2011 and 2012. Among New Jersey’s Top Ten Wedding Photographer and Wedding Videographer. Recipient of Bride’s Choice Awards 2012 and 2011. The Wedding Central is a wedding photography and wedding cinematography studio owned by Award Winning Wedding Photographer and Wedding Videographer, Gaby and Danny. The studio is located Northern New Jersey and covers weddings in New Jersey and New York City.